The authentication : The authentication is the method used to certify that an actor is really the one he claims to be. The autorization : The autorization is the access control to resources granted on basis of the information gaiined from the authentication. The OSI model, well described in Wikipedia, describing/defining the network communication layering model, may also structure the http authentication mechanisms. 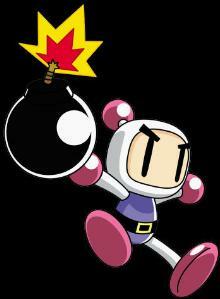 In 2013, i had to develop and deploy for a school named Supinfo * a microsoft cloud based version of the famous bomberman game whose you’ll find the project documentation and the source code below. Wikipedia being our friend, you’ll find here everything that you need to understand the concepts of this game. Developped in C# .NET (version 4) for the Microsoft Cloud (aka Azure), the project Bomberman, is written thanks to the Microsoft MVC framework for the Web tier part on one hand and on the other hand, thanks to the Microsoft EF framework for the Database tier. Moreover, at the client side, the jquery framework was added to make easier the asyncrone communication (in JSON) between the browser and the webapp.